AFL-CIO President Richard Trumka, who has previously praised tariff measures implemented by President Trump, told CBS News that he believes protectionist actions "should be taken with a rifle and not a shotgun." "There were far too many countries, and so it lessens the effectiveness of tariffs as a way to enforce trade agreements," Trumka said about Mr. Trump's tariffs on steel and aluminum. "Trade and tariffs - those type of corrective actions - should be taken with a rifle shot and not a shotgun." Trumka initially offered support for the tariffs when Mr. Trump announced them in March. "This is a great first step toward addressing trade cheating, and we will continue to work with the administration on rewriting trade rules to benefit working people," Trumka said in a statement on March 1. He followed that up with an opinion piece for The Washington Post later that month, asserting that "in the context of years of inaction by the U.S. government and our trading partners, these tariffs are a necessary first step and we are proud to support them." And he tweeted that "tariffs won't start a trade war." But more recently, Trumka has been tempering his full-throated support with concern that these measures could hurt American workers. The European Union, Mexico and Canada have implemented retaliatory measures against some American products. Mr. Trump announced a $12 billion aid package for farmers affected by these tariffs last week. In June, the AFL-CIO and the European Trade Union Confederation released a joint statement criticizing Mr. Trump for his unwillingness to negotiate on trade issues. "We believe that trade enforcement is most effective when our governments cooperate to achieve shared goals," the statement said. The AFL-CIO indicated that it still favors protective measures against China, though, which it slammed for "trade-distorting practices." Trumka also tweeted more measured support for tariffs in July, saying that Congress and the president needed to work together "for smart tariff & trade policies that put working families first." Some in Congress are badmouthing tariffs and grousing about "trade wars," but those who failed to act on trade threats or stop trade cheats are part of the problem. The solution? Congress & POTUS working together for smart tariff & trade policies that put working families first. Mr. Trump agreed to negotiate with the EU for "zero tariffs" in a meeting with European Commission President Jean Claude Juncker last week. "I think on trade, quite frankly, he's going in the right direction, although at times, he's doing it the wrong way," Trumka told CBS News. He and the president have had a contentious relationship, and Trumka said that he had not spoken to Mr. Trump in a few weeks. The president's tariff policy has been exerting pressure on a range of U.S. companies. General Motors directly cited the tariffs as the reason it cut its outlook for the year. And Tyson Foods, too, announced Monday it was cutting its profit forecast, over the higher tariffs and uncertainty about the administration's trade policies. 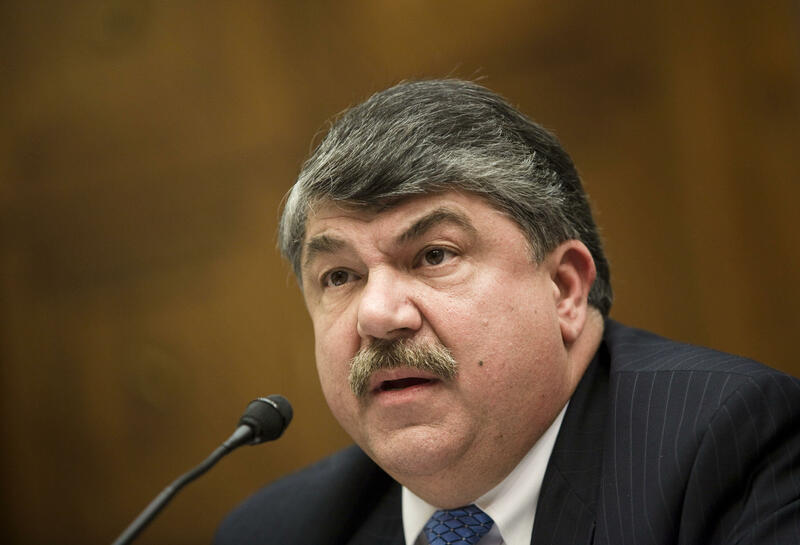 Trumka also pointed to other measures implemented by Mr. Trump -- besides tariffs -- that he believes harms the American worker, like rolling back federal safety regulations and promoting last year's tax overhaul, which provides large tax breaks to corporations. "When he does something right, we'll support him, and when he does something wrong, we'll oppose him. And unfortunately, we have to oppose him right now more than we support him," Trumka said. An earlier version of this story said that Mr. Trump's aid package to farmers cost $12 million. It cost $12 billion.